Catalonia Declares Independence from Spain: What Now? This report is part of our Referendum 2017 coverage, spotlighting disputed independence votes for Kurdistan in Iraq and Catalonia in Spain, plus less-controversial self-rule referendums in three areas of Italy. Catalonia, a self-governed region within Spain, has declared an independent "Catalan Republic" nearly a month after holding a controversial independence vote, despite powerful opposition from the Spanish government. The declaration was made on Friday, October 27, after the region's parliament - elected legally under the Spanish constitution but now defying it - voted 70-10 in favor of independence. Anti-independence parties boycotted the vote, but 70 votes is enough that the motion would have passed either way, since the body has a total of 135 members. Notably, Catalonia's pro-independence lawmakers chose to declare it a "republic", in contrast to Spain, which is not a republic but a constitutional monarchy (both are forms of democratic government). The same day the independence declaration was made, Spain's legislature followed up on its promise to implement direct rule in Catalonia, officially suspending the region's president and other officials while dissolving the regional parliament. The Spanish government called new Catalan parliamentary elections for December 21. But it's hard to say whether Catalonia's officials and institutions will obey the orders, or how that election might go. Spain, the Catalan people, and the world are still waiting to see what the members of Catalonia's officially-deposed government will do. Nearly half of the region's parliament has already signaled its compliance with Spanish courts by sitting out of the independence vote, but it's unclear whether the rest of the body plans to step down as ordered. Fired Catalan president Carles Puigdemont gave a speech on Saturday as if he were still in office, but without explicitly saying that he would defy the orders (potentially a crime that could land him a 30-year prison sentence). Whether the rest of the region's officials will hand over control to the Spanish central government also remains to be seen. 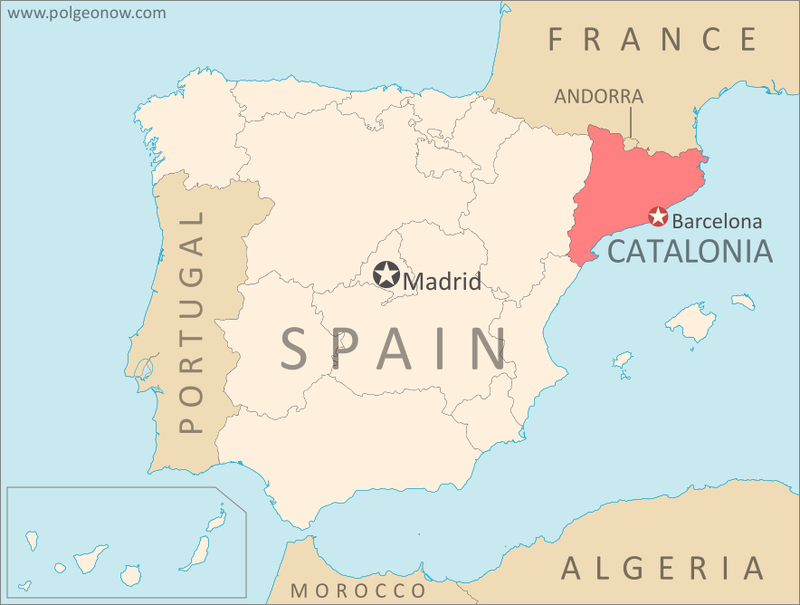 Learn More: What is Catalonia, and why would it want independence? The leader of Catalonia's autonomous police force, for one, reportedly stepped down almost immediately yesterday. The force had wiggled its way out of helping shut down the independence vote on October 1, but without openly defying the Spanish government. This new gesture of compliance helps play down any threat of a standoff between local and national police, which is consistent with the independence movement's commitment to non-violent tactics. On that note, pro-independence leaders have called for mass civil disobedience from the Catalan people, which could mean street protests plus government employees refusing to take orders from Spain. But right now, it's still too early to say what will actually happen. Will Catalonia Become a Country? It's uncertain enough whether independence supporters can hold onto control of Catalan government institutions. But if they can, does that make Catalonia a real country? Not necessarily. To be accepted into the world community, an independence declaration has to be "recognized" by other countries. 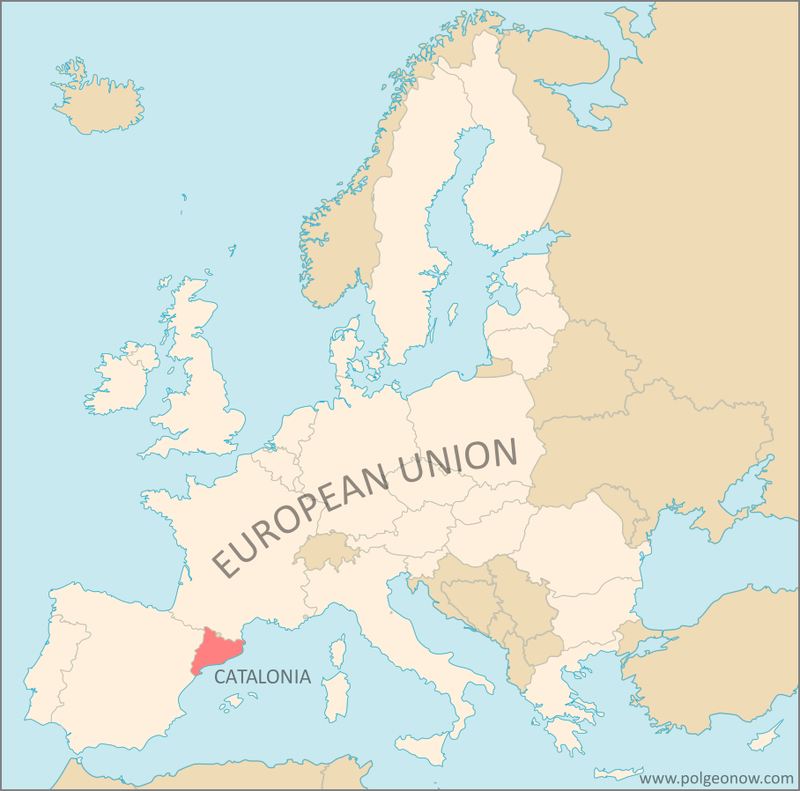 Without that, Catalonia wouldn't be able to get into the United Nations (UN), the European Union (EU), or other important international organizations, and diplomats would be obliged to ignore it. So far, things aren't looking good for supporters of the Catalan Republic. No other country has yet granted it recognition, and only a few have even come close to expressing interest. There's been speculation that some maverick governments, like Venezuela and North Korea, might do it, but so far the only places that have even publicly offered are Abkhazia and South Ossetia, two controversial self-declared countries that only have a few recognitions of their own. And even major would-be countries like Palestine and Kosovo, who are recognized by over half the world, still don't have full membership in the UN, so a handful of recognitions isn't going to cut it. And beyond the issue of the local government obedience to Spain, there's also the question of military and police control. Self-declared countries like Abkhazia and South Ossetia, or even completely unrecognized ones like Transnistria or Somaliland, take what credibility they have from demonstrating that their own armed forces control access to their territories and enforce the rule of law within them. But it will be very difficult for Catalonia to create a similar situation in it's own territory, especially since no one seems to want a civil war. Spain's police and national guard would have to first withdraw from Catalonia, and it seems unlikely that would happen without a negotiated agreement between Catalan separatists and the Spanish government. Stay tuned to PolGeoNow and the PolGeoNow Twitter feed to find out what happens in Catalonia! You can click here to view all Referendum 2017 articles. Graphic of current Catalan flag by Wikimedia Commons user Martorell (License: CC BY-SA; source).